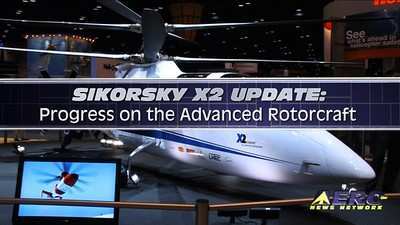 Possibly the most avidly anticipated briefing of Heli-Expo 2009, was the official Sikorsky update of the truly innovative X2 program. 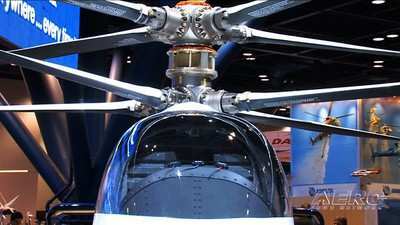 Just last year, Sikorsky proved that it's one incredibly cool -- and equally unusual -- flying machine... and, it works! Sikorsky successfully completed the first flight of its X2 Technology Demonstrator, in late August, maneuvering the prototype aircraft through hover, forward flight, and a hover turn, in a test flight that lasted approximately 30 minutes. 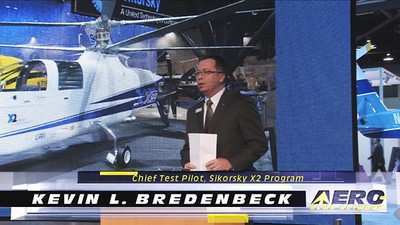 Sikorsky Chief Test Pilot Kevin Bredenbeck conducted the test flight at Sikorsky’s Schweizer Aircraft Corp. rapid-prototyping facility in Horseheads, NY, and was a headliner at the HAI 2009 briefing before a packed house of rotornauts. 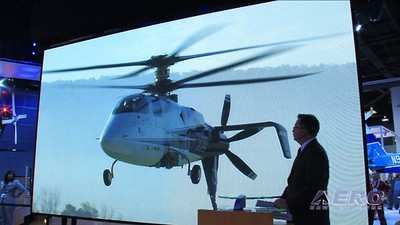 The first-flight milestone culminated more than four years of design, development and testing of the Demonstrator aircraft’s suite of technologies that are intended to advance the state-of-the-art, counter-rotating coaxial rotor helicopter. The X2 Technology Demonstrator is designed to establish that a helicopter can cruise comfortably at 250 knots, while retaining such desirable helicopter attributes as excellent low speed handling, efficient hovering, and safe autorotation, combined with a seamless and simple transition to high speed. Just last month, the program leaped ahead again as the X2 successfully ground tested the aircraft with the pusher propeller installed and spinning for the first time. The test, conducted January 23, used the fly-by-wire pitch control system with the rotating, high-speed pusher propeller for the first time since the demonstrator's first flight on August 27, 2008. "The high-speed pusher prop produced the expected amount of thrust and the testing went according to plan," said Steven Cizewski, X2 Program Manager. "In addition, the pusher prop's drive system and oil distribution system checked out well. In all, we are pleased with this milestone and look forward to finishing the tests in Elmira, NY as we prepare to move the demonstrator into its next phase of testing in West Palm Beach." Sikorsky Vice President of Research & Engineering Mark Miller said, "This ground test milestone effectively completes Phase I of the four-phase X2 Technology development test program. We are looking forward to completing the remainder of the envelope expansion phases, and achieving 250 knots at the completion of Phase IV by the end of the year." The X2 Technology demonstrator combines an integrated suite of technologies intended to advance the state-of-the-art, counter-rotating coaxial rotor helicopter. 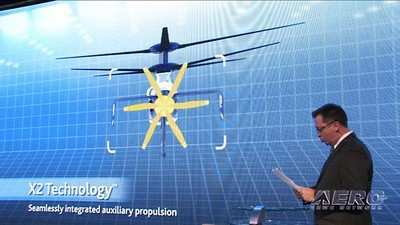 Sikorsky announced its initiative to develop an integrated suite of technologies called X2 Technology in June 2005. The project is funded solely by Sikorsky. 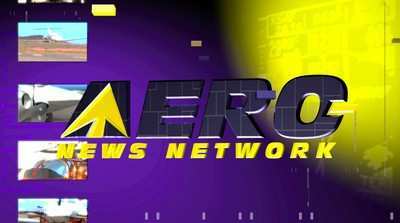 Aero-TV Gets An Update On The Innovative Sikorsky X2 Program!